The Industrial Products & Construction sector is undergoing rapid advances in supply chain management, advanced analytics capabilities, Smart Buildings, and Industry 4.0 innovation. While currently serving over 95% of Industrial Products and Construction Fortune 500 companies, we work towards aggressive revenue growth goals over the next 3-5 years. 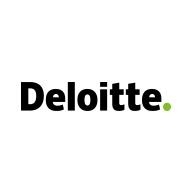 We are committed to helping our clients work with newly empowered customers, hyper-connected digital ecosystems, and expansion in data in collaboration with Deloitte’s Offering Portfolios.